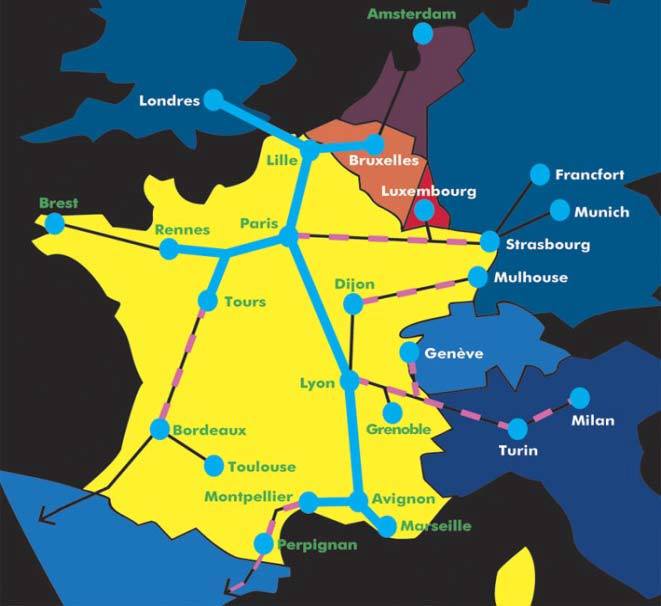 Lyon-Saint Exupéry is the French airport with the largest number of routes outside Paris, with 32 French towns and cities connected by daily scheduled flights, 43 scheduled international routes, a hundred charter routes and 30 cargo routes (winter programme). Since 2013: direct lines with Harbour, Manchester, Dubrovnik, Athens, Birmingham and Dubaï. 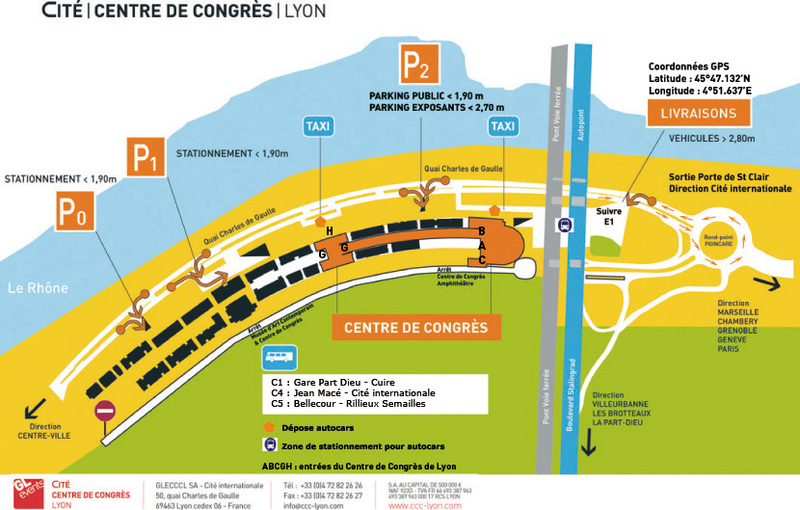 The Convention Center is 25 minutes from the airport and Lyon-Saint Exupéry multimodal station. 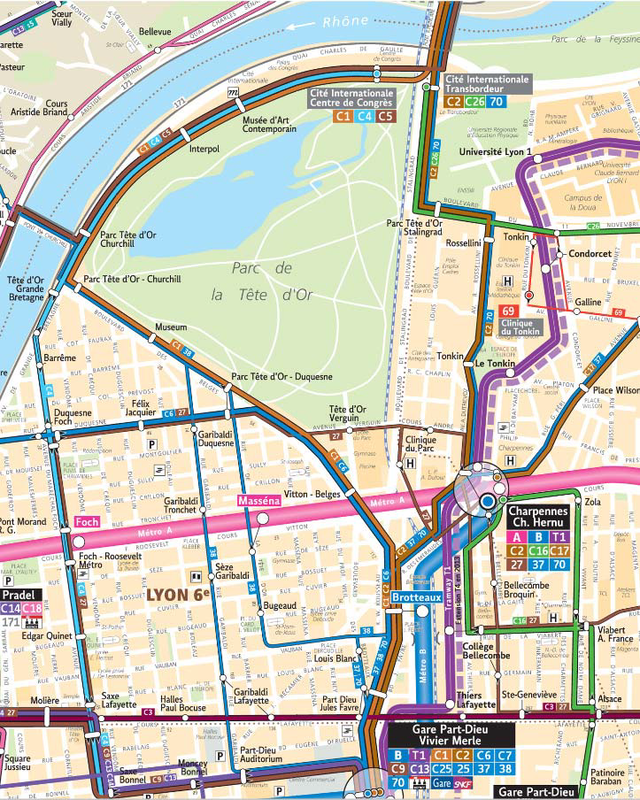 Take the Tramway Rhône Express to Lyon Part-Dieu Railway Station, then tramway C1 (towards Cuire) to Cité Internationale. It is 10 mn from Lyon-Bron business airport. 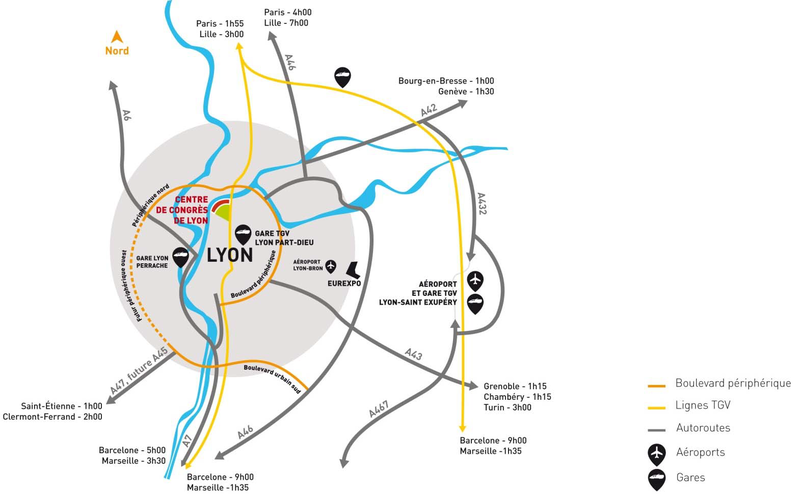 The Lyon Convention Centrr is 10 minutes from Part-Dieu TGV station and 15 minutes from Perrache station. TGV trains run between Lyon and Paris every hour or every half hour. Right at the city centre’s north-east entrance, next to the motorway network and northern orbital road, Porte de Saint Clair exit. There are 3 parking On site, for 3 350 places. There is a landing stage suitable for mooring all types of boats right in front of the Convention Centre. Right at the city centre’s north-east entrance, next to the motorway network and northern orbital road, Porte de Saint Clair exit. C1 (Train station «Part-Dieu» - Cuire) a fast trolley bus with a dedicated lane connect the Cité internationale with Part-Dieu in 12 mn. In addition to this connection, a tramway line called Rhonexpress heads to Lyon-Saint Exupery airport in 25 mn. C4 (Jean Macé – Cité internationale), which connects with metro lines A and D at stops Foch (A) and Saxe-Gambetta (D).